After two decades of sustained scientific progress, the effort to build general purpose quantum computers has grown from academia to industry. Today, we have integrated systems tailored for hybrid quantum-classical algorithms, and we have systems with ever more and better qubits on the horizon. Researchers have run more than 100 million programs on our platform, demonstrating proof-of-principle experiments in biology, chemistry, and machine learning. We have definitely answered the question of possibility, and this marks the first inflection point in commercial quantum computing. Now, enterprises are starting to turn to quantum computing in hopes of capturing the disruptive business opportunities it will bring. To unlock those opportunities, the next milestone for the industry is quantum advantage. This is when quantum computers first begin to solve practical, real-world problems better, faster, or cheaper than is possible with classical computers alone. 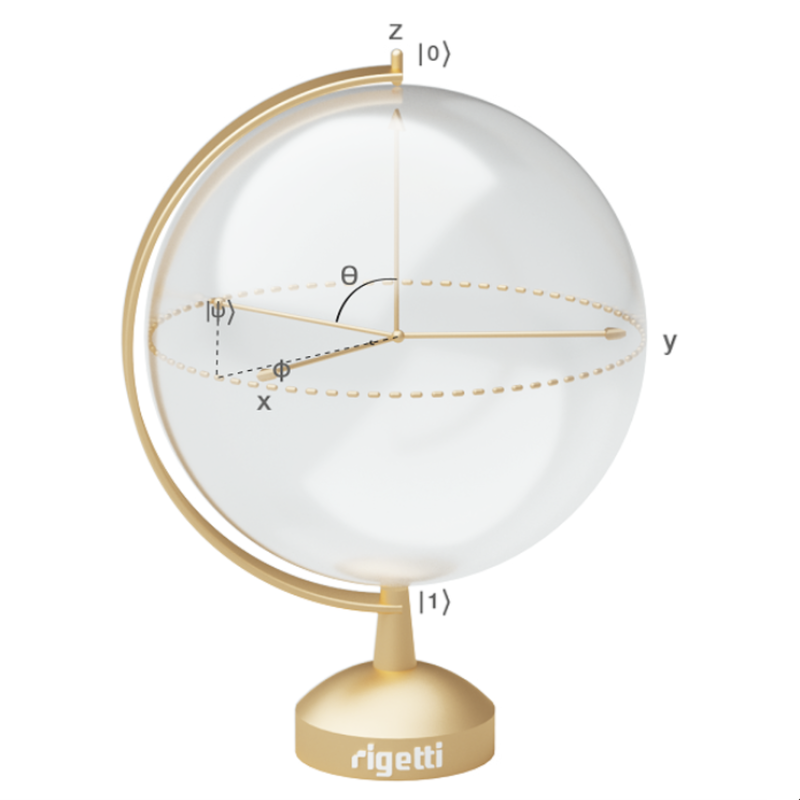 Recognizing the significance of that moment, we recently announced the Rigetti Quantum Advantage Prize, a $1M award for the first conclusive demonstration of quantum advantage on the Quantum Cloud Services platform. Today we’re sharing more details about the prize, the rules and adjudication process. 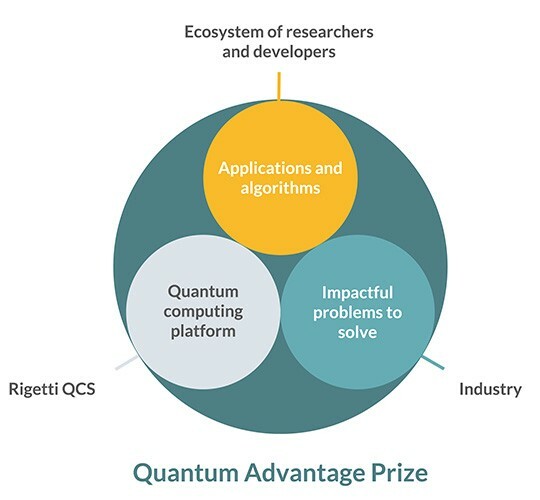 To qualify for the prize, a quantum advantage claim must show that an algorithm run on our QCS platform has either a faster time to solution, a better quality solution, or lower cost of classical compute compared to the best classical algorithm. In addition, a successful claim must create real value — solutions to esoteric problems or purely theoretical proofs don’t count. The easiest way to achieve this is to solve a specific, business-critical problem posed by one of our industry partners. More about that in a minute. We will post claims online as they are submitted, and will invite our community of researchers and developers to submit additional evidence to support or refute the claims. Claims that are not convincingly refuted will be evaluated by an independent board. We believe the first demonstration of quantum advantage is likely to happen in the next two to five years. For this to be true, researchers and developers must have access to computational platforms that include world-class quantum hardware, and they must have a clear understanding of the right problems to work on. We bring the quantum resources through our QCS platform. We provide access to that platform for our ecosystem of developers, researchers, and partners. Industry brings its core challenges and problems to be solved. We’ll announce the first set of those problems from our industry partners in early 2019. Together, we all accelerate towards quantum advantage. If you want to get a head start on developing quantum algorithms on QCS or even posing your own challenges, download our Forest SDK and join our QCS waitlist today. A more detailed set of rules and criteria can be found here. On a mission to build the world’s most powerful computer.